If I am to describe myself as a daughter, I'll have to admit that I am the kind of daughter that keeps her distance and is very bad at expressing herself the right way. 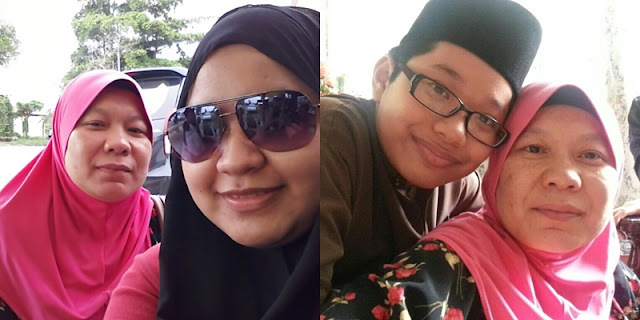 Compared to my two younger brothers, I don't really show as much affection as they do towards my parents and I always hesitate in sharing my problem with them because I feel like it's not a burden I should add on to their shoulder. Is it because I am the firstborn in the family? Since at a very young age, I've been thought to be independent especially since both my parent works to support us. Adding on their expectation on me as the eldest in the family, I always wonder if that factors into my frigidness when it comes to interacting with them? 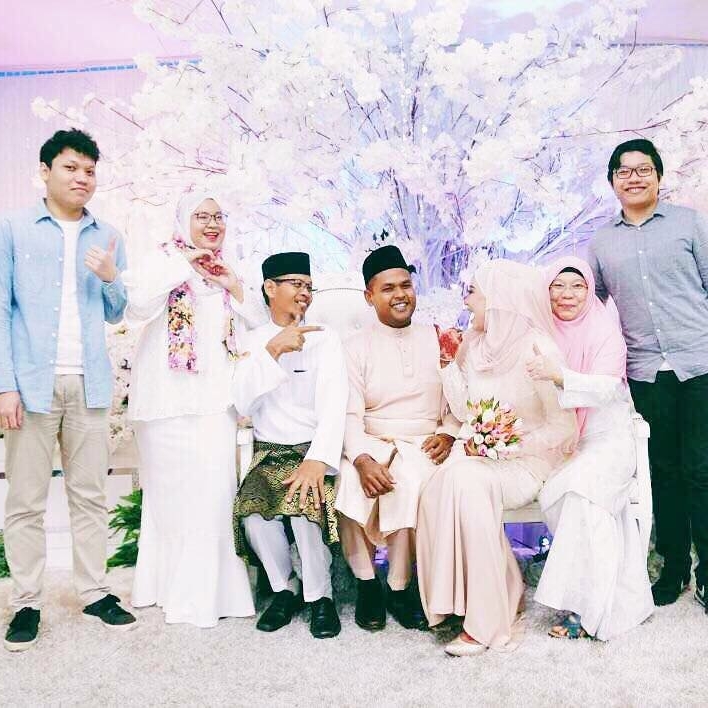 The picture above was taken during my baby cousin wedding day. That rare occasion where we finally get a decent picture together because everyone hates camera (but me). LOL! Of course, it'll be ideal if I am the type of daughter that shows her affection and love all the time. The type that often gives hugs and kisses, the type that can act all sweet with the dad and the kind that can sit around for hours chattering away with her mom. Gosh, what wouldn't I do if I can change my personality like that? With my introverted nature and years of staying away from home at the boarding school, let's be real; we're not as close as we should be. I only get to move back home completely once I finished university which is approximately a decade later. Despite staying with them now, with my and their hectic schedule, it's very rare for us to catch up. My mom left to work early in the morning and then I usually leave two hours after that. My dad does help to send me to the LRT every day, but the commute is usually less than ten minutes away, so making real conversation an almost impossible task. My office hours end at a later time and on top of going to events, gym and other after work stuff, I'll usually arrive at home greeted by my sleeping parents. They're the type that sleeps super early and I am a night owl. Even if I got home slightly earlier, it'll still be too late for me to catch up with the family dinner time as they usually eat before 8PM at home and I usually will arrive home after that. The cycle will just go on over and over again because well, that's life. Now, that's pretty alarming, right? I was expecting it though because the questions asked are very interaction-specific such as 'Your parent/child knows you better than anyone else?' and 'You freely talk about every experience, even private moments?' which I answered both with disagreement. Think about it, being as introverted as I am, I have never really opened up 100% with anyone, even if they are my parents. There will always be that small part of my life that I'll keep to myself. 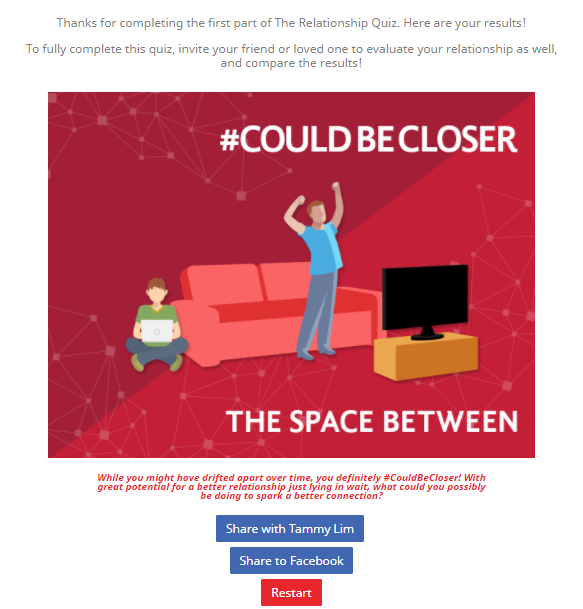 I guess that is why the result comes up as #CouldBeCloser. To be honest, we're only lacking in that 'casual conversation' part. Despite how the result is, I think I am still in the loop of whatever happening in the house and my parent usually asks my opinion on important decisions or at least inform me first because I am still in the eldest in the family. Now, just because our result is not exactly on a positive side, I hope you don't think that I am such a bad daughter. 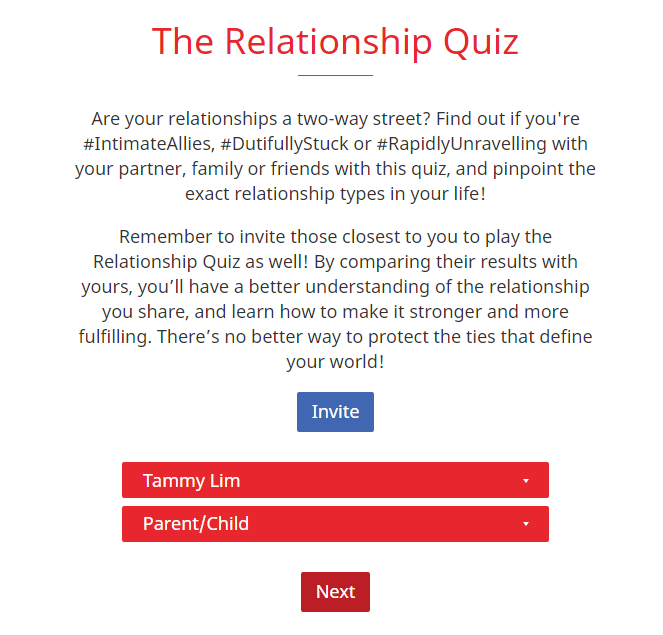 Plus, the quiz result is purely based on my opinion of our relationships and my parents might think of it the other way around. Of course in an ideal world, getting a #BestFriend result will be what I want but I don't think a parent-child relationship is as simple as that. As a matter of fact, it's the most complicated out of all relationships I've encountered. We love each other but the more we love, the stronger the expectation, thus the harder it is to fulfil it. The truest test for this is if you are able to withstand the hurdles and the differences in the relationship and just love them unconditionally. Just like how they love and accept you unconditionally, despite how you turned out to be. In a way, our differences make our bonds stronger because it's harder to stay together when you don't exactly think the same. 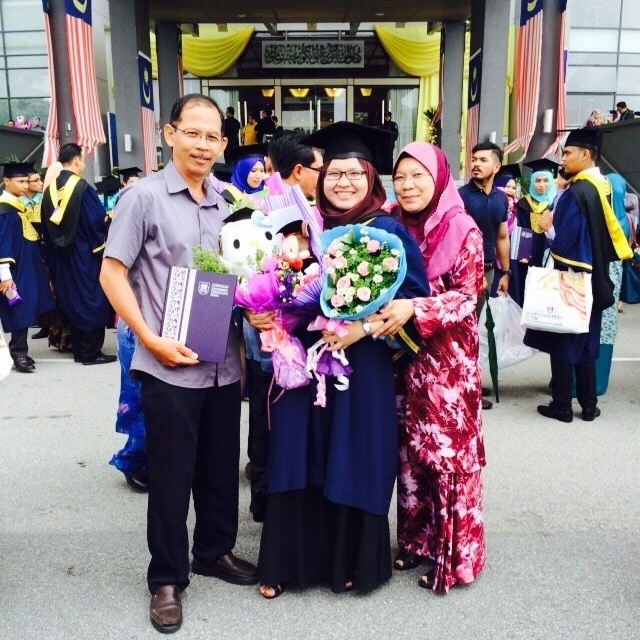 Taken on my graduation day a.k.a that day where my dad cried more than my mom. I bet their worry got lifted a bit since one of us has successfully graduated. To make up for my lack of expressiveness, I try to at least help them in my own way. Of course, with my salary right now, I won't afford to buy them a new and bigger house nor give them a bigger allowance but I do try to help out with the small things like helping to pay monthly internet bills, bringing them out for a nice dinner (quite mundane but to them this is already such a privilage), and buying them new stuffs that they need but usually hesitant to get it for themselves because they feel like the money can be used on a more important thing (like my siblings education fees). My mom for example never really let herself splurge on anything unimportant such as a new handbag, purse and even cosmetics. Now that I am working, I try to give her some of that privilege. For others, this might sound like such a basic thing but to her is something she'll have to think over and over again because she rather uses that old, ragged and worn out purse and save that money for the future. Okay, this might sound like I'm compensating my lack of physical and emotional affection with material things but do you know that according to Prudential Relationship Index, one of the most common concerns among parents is the 'ability to provide for their children education'? As a matter of fact, 50% of parents say that supporting their children's education is one of their main financial goals. Yep, that's a large number and I know that concern all too well. That is why I try to relieve their expenses a bit, especially on the most basic things that I can afford so they can save more money and use it towards the funding of my brothers' education fee. 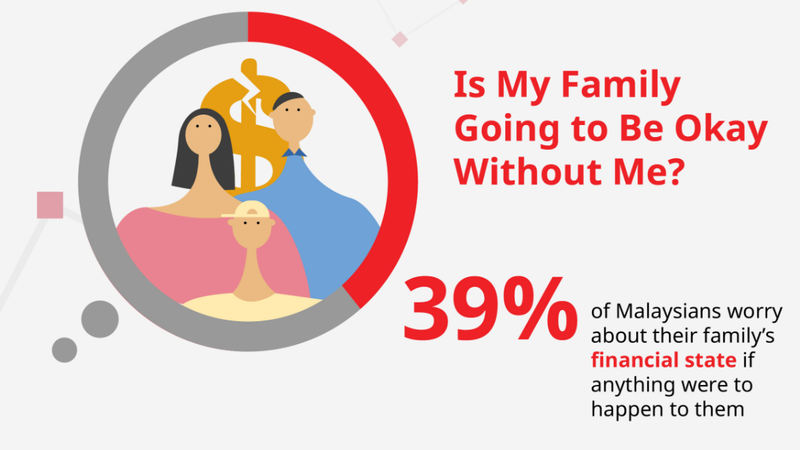 Not just that, 39% of them are also concerned about the well-being of their family they are gone while 87% of Malaysians expect to rely on personal savings in their old age because they don't want to burden their children in their future. All of these are the concerns that commonly came out of my parent's mouths in our rare but honest conversations. I'm pretty sure that the concerns I mentioned above are common and is something a lot of us can relate to. What is Prudential Relationship Index? 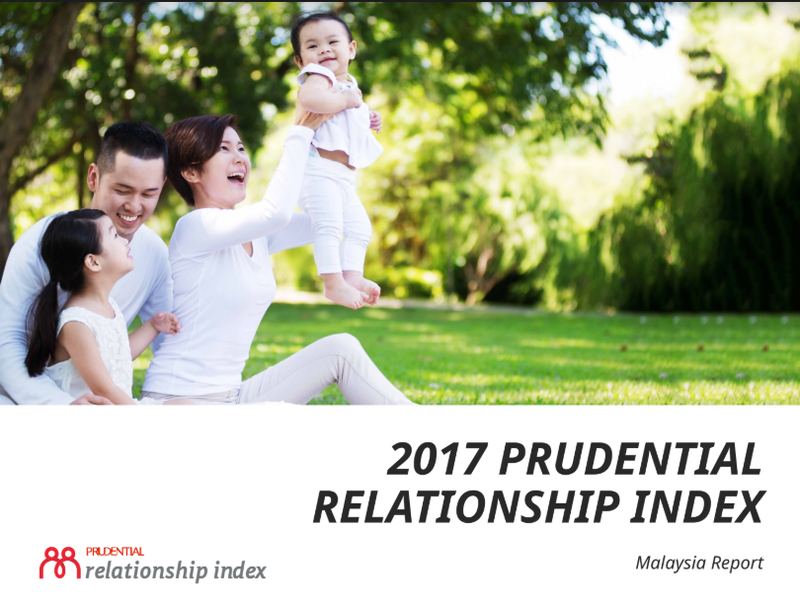 "By launching the second edition of the Prudential Relationship Index (PRI), Prudential continues to explore the state of relationships across Asia, in Cambodia, China, Hong Kong, Indonesia, the Philippines, Singapore, Thailand, Vietnam and Malaysia. This year, over 4,600 people shared insights into their relationships with partners, parents, children, friends and relatives. In Malaysia, 516 respondents between 25 and 55 years of age living in Kuala Lumpur or Petaling Jaya with a monthly household income of at least RM4,000, representing approximately the top two-thirds of household incomes in the survey cities." 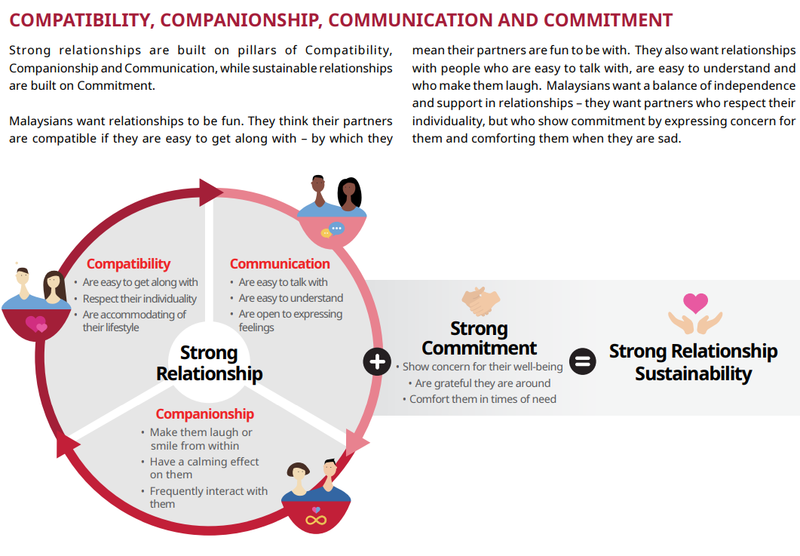 The relationship index is categorised into a few categories including the relationship between partners, between parents and child, between sibling, between relatives and between friends. With a 100% scores to indicate a complete fulfilment of expectation in one's relationship. The summary of survey for Malaysia shows a 3% drop from last year 71% result, with only 68/100 overall marks. This means that 'on average, people's primary relationship fulfils only 68% of their desired needs'. Comparing to other nine countries where this survey was done, Malaysia ranks at the 6th place with Cambodia at the first place in PRI scores and China being the lowest. 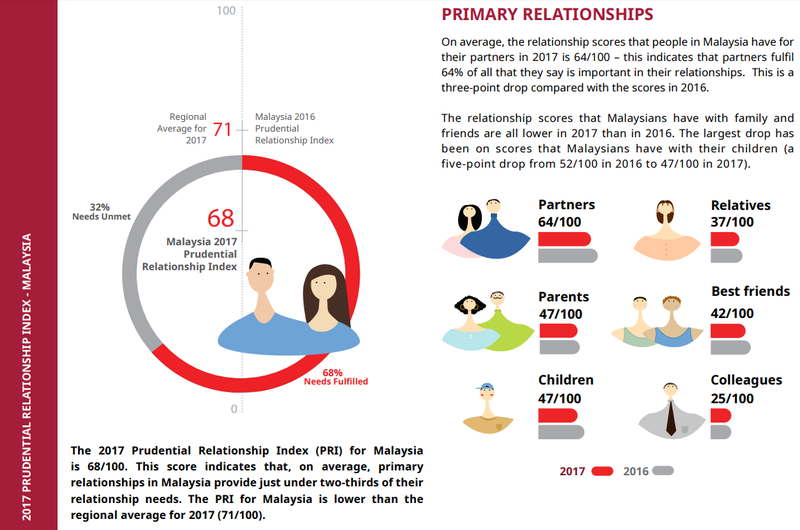 To be honest, it's a bit sad to see much much difference it is the PRI score for the relationship between partners (64%) and comparing it to the (47%) result for a relationship with parents. Of course, as an adult, you will end up prioritising the relationship with your partner more especially since they'll be the one who is going to be with you until the end, but I can't help but feeling that we should've have gotten a higher score for the parent-child relationship as well. Therefore, it brings me to another concern. What actually makes a parent-child relationship stronger and better? How can I fulfil my parent's expectation of me and what are they exactly? To grasp the bigger picture, I took a look at the PRI result for 2017 on common expectations a parent would have towards their child. Of course, since a relationship works two ways, a diagram below is also showing the common expectations children have towards their parent. I especially like the part where the survey listed the common interactions with the parent that need to take place at least once a week. In a way, this survey actually opens up my eyes in certain relationship areas that I can improve with my parents. Obviously, I don't score high enough especially since the PRI actually focuses on three main aspects of the relationship which is Compatibility, Communication and Companionship. Like I explained above, I am not exactly a top scorer especially in the communications department. This makes perfect sense because I always knew that I am less of a talker that express her deepest thought and always prefer to relay my intention via writings instead. I can't even imagine myself explaining verbally to anyone regarding my relationship with my parent like what I wrote above. If I had to I would definitely just stopped at "If I am to describe myself as a daughter..." followed by a never-ending pause after that. I also realised that I need to work on telling them I love them on a weekly basis because embarrassingly, I don't do that enough. Yeah, wait for a survey to come out for you to realise that Anis. 😅 But better late than never, right? Despite my awkwardness, I still think a lot about them. One of the biggest concern for me currently is what can I do to help them in later days when they are all retired? Of course, the PRI result shows that the majority of Malaysian are expecting to rely on their own personal saving at old age but I don't want to let that number stop myself from working harder in order to provide my parent with a more comfortable living option in the future. Another thought that I have in mind is regarding our overall health. Do we take care of our health enough? Are we prepared enough to face any unexpected challenges in the future? I am definitely asking for anything to happen, but it's better to be safe than sorry right? When it comes to health, it is said that 60% of Malaysian are 'all talk no action' type. The numbers jabbed me straight into the heart because I am also one of those people who need to work on my overall health. On top of my own health, I also worry a lot for my parent as we know that sometimes the old age comes with inevitable complications (which I am praying hard for it to not be true) and I want to make sure we are ready for it. I am not being paranoid when I talk about saving for the future. My parent had a pretty bad accident a few years back but thanks to their amazing financial planning, we were able to overcome it smoothly. The answer to all of my worries? Of course, a good financial planning. I have to learn to think forward into the future and be prepared financially at any time, in case of emergency. 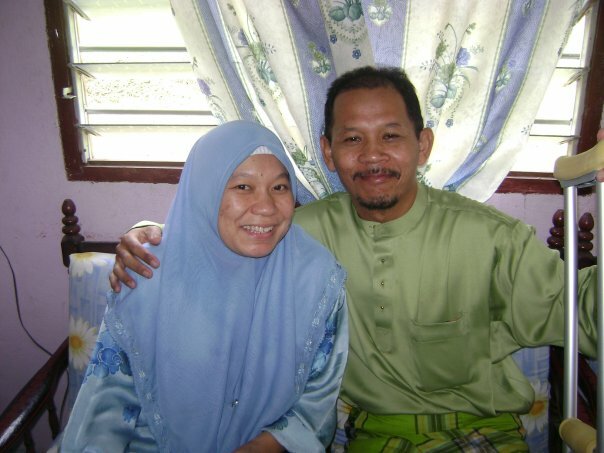 Just like what my parent have been doing for the past 27 years of my life. Realistically speaking, it's almost unbelievable that they managed to support all of us all the way to boarding school and university with their total salary vs the number of people we have in the family, and even more so, let us study comfortably without having to feel inferior or lacking in any way compared to our peers. One of my life goals is to bring my parent to a really nice vacation. 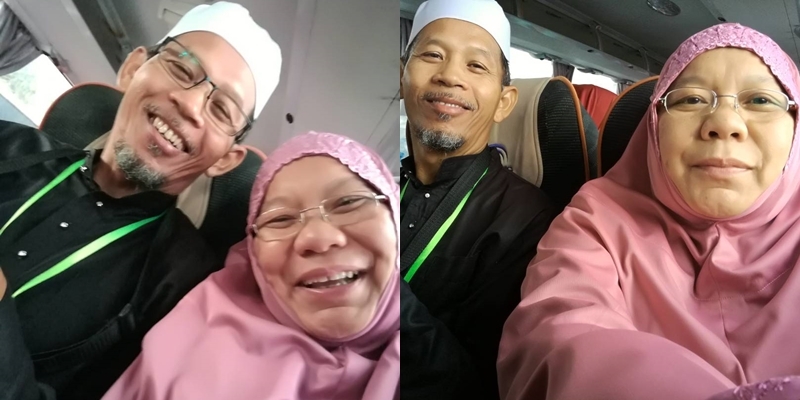 Just look how happy they were in this picture taken during their umrah trip. So, this is the story of me, the not so average daughter that love with all her heart but don't know how to express them well. I am that daughter that doesn't match the ideal but just because it's not ideal, doesn't mean it doesn't exist and I am pretty sure there are people can relate to my story. What's important is the ability to recognise that and the effort to try to be better. After taking this Prudential Relationship Index, I realise that I have to work on in improving our day to day interactions and I am thankful to be able to learn more from this experience. In a way, after going through all the memory lanes as I write this post, I am rethinking about my position as a daughter. I might not be as bad as I make myself to be (sorry, its habit) but I also don't want us to just be close, I want us to be closer. 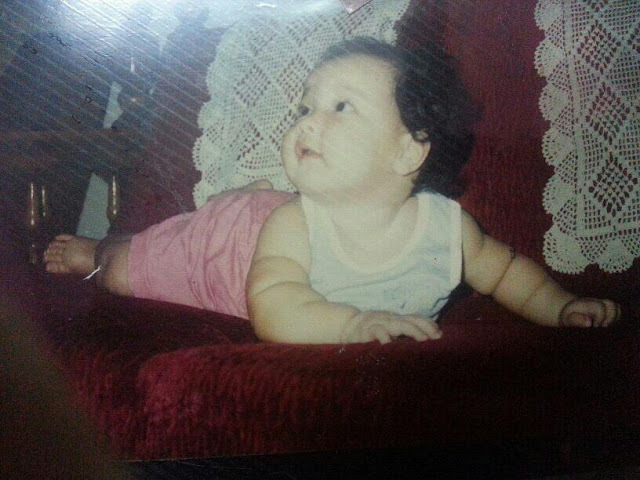 I want to be the daughter that can make them laugh, and also a friend-like daughter they can confide in anything. So, are you like me or are you that daughter or son that I've always wanted to be? Regardless of how you score now, be it #CouldBeBetter or #BestFriends I hope the PRI Quiz will help you re-evaluate your relationship with your mom and dad because, without them, we are nothing. You can download the file to know more about the Prudential Relationship Index report or visit the website to take the Relationship Quiz today! Introverts - we feel very deeply but we do not express our feelings fully. Imagine, an introvert mom & an introvert child - that is even harder to fathom, right? Being an introvert & an eldest child, I think I understand.